Provide comfort for the family of Vivian Cochran with a meaningful gesture of sympathy. 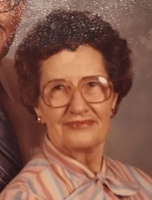 Vivian Audrey Cochran, age 101, passed away in Snyder on Sunday, March 24th, 2019. Family Visitation is planned for Tuesday, March 26th, 2019 from 6:00 pm to 7:00 pm at Miller Family Funeral Home. Funeral services will be on Wednesday, March 27th, 2019 at 2:00 pm at Miller Family Funeral Home Chapel 200 E. 37th Street Snyder, Texas 79549 with Lee Fiske officiating. Burial will follow under the direction of Miller Family Funeral Home at Hillside Memorial Gardens. Mrs. Cochran was born on December 24th, 1917 in Powderly, Lamar County, Texas to Lee and Oma (Frederick) Saffel. Due to the untimely death of her mother, she was left with the task of rearing her brothers and sisters, at the age of 17 years old at the height of the Great Depression. She married Clifford Cochran on August 17, 1935 in Ft. Towson, Oklahoma. He preceded her in death in March of 2003. She was a member of the American Business Women Association, Daughters of the Republic of Texas, and was active in the National and Texas Home Extension Services, for over 50 years. She was preceded in death by Parents, Lee and Oma (Frederick) Saffel; Husband, Clifford Cochran; 2 Brothers, W.R. and Houston Saffel and 2 Sisters, Janet Hall and Purnie Dempsey. Family ask that donations be made to The Veterans of Foreign War National Headquarters, 406 W. 34th Street, Kansas City, Missouri 64111, (816) 756-3390 and/or the charity of your choice. 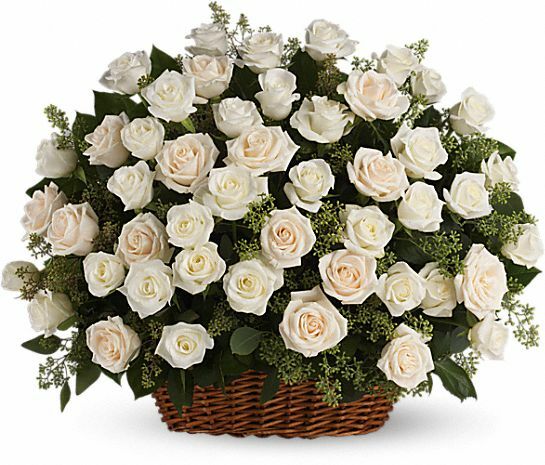 To send flowers in memory of Vivian Audrey Cochran (Saffel), please visit our Heartfelt Sympathies Store. Albert garcia sent flowers to the family of Vivian Audrey Cochran (Saffel). Our thoughts and prayers are with you. May vivian rest in peace. Albert garcia purchased the Bountiful Rose Basket for the family of Vivian Cochran.